South Korean midfielder Kwon Chang-hoon has stretched his scoring streak to three matches in the French football league. Kwon, who plays for Dijon FCO in the Ligue 1, scored an equalizer when his club was trailing 1-0 to Amiens SC at Licorne Stadium in Amiens, France, on Tuesday (local time). Starting on the right flank, Kwon found the net in the 15th minute following a pass from Frederic Sammaritano. This was Kwon's fifth goal of the 2017-18 season. The 23-year-old is also on a three-game scoring streak after bagging a goal in the match against Troyes AC on Nov. 18 and FC Toulouse on Saturday. Dijon, however, fell 2-1 to Amiens SC after conceding a goal to Quentin Cornette in the second half. 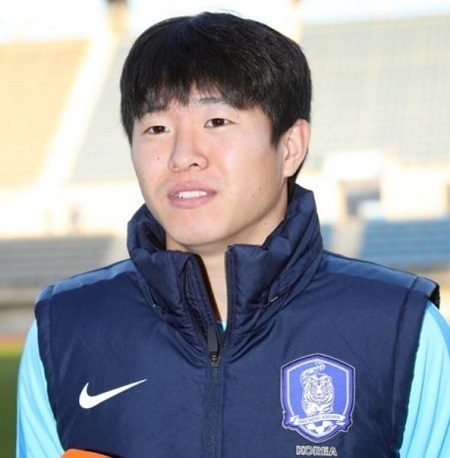 Kwon joined Dijon from the South Korean side Suwon Samsung Bluewings in January this year. He failed to impress last season, playing only eight matches without any goals. Kwon notched his Ligue 1 debut goal against Stade Rennais in August and scored his second goal against RC Strasbourg in September.